CLEMSON, SC – October 23, 2018 – In honor of Military Appreciation Day, complimentary shuttle service will be offered to veterans and active duty military personnel to and from the Clemson vs. Duke game on November 17th. This service is available to one military rider and a guest, leaving from the Patrick Square Welcome Center at Highway 123 and Issaqueena Trail in Clemson.Shuttle reservations are required and will be honored on a first come, first served basis. Complimentary parking will also be available in the Patrick Square Town Center for those riding the shuttle. To book your reservation and choose from various departure times, please call The Inn at (864)-643-0600. 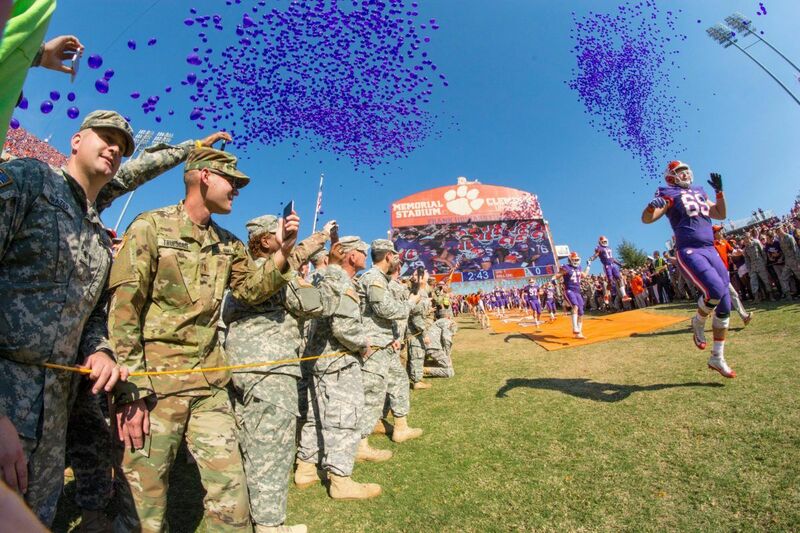 Every year, Clemson University celebrates Military Appreciation Day by hosting a series of events to recognize Clemson’s rich military tradition and to honor the thousands of Clemson men and women who have served in the armed forces. Charles K. Cheezem, father and co-developer of Patrick Square with his son, J. Michael Cheezem, was a member of the Clemson University Class of 1944 — the legendary class whose entire membership served in WWII, delaying their graduation to 1949. He is also the namesake of the Cheezem Education Center, home to Clemson’s Osher Lifelong Learning Institute, which is located just across the Village Green from The Inn at Patrick Square in the community’s Town Center.